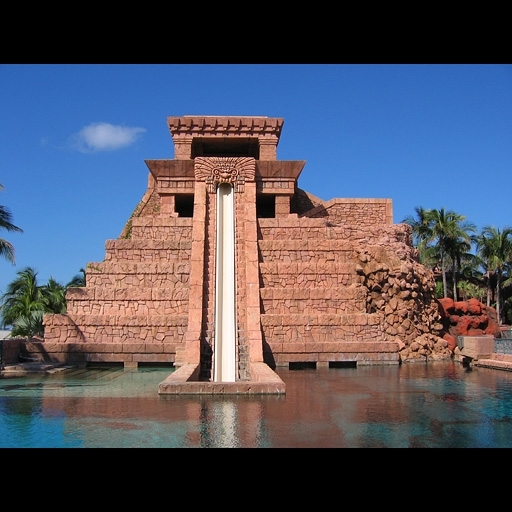 Stromberg GFRC is used in all areas of the Atlantis Resort, Bahamas. Construction materials are made with the intention of lasting a long time and putting up with a number of forces that want to break them down. Concrete has been the go-to material of choice because of its reputation for being a tough material. However, new materials are emerging that are proving that it is possible to get even tougher, helping structures and architectural elements withstand more pressure, stress, and impact. In this blog we will discuss GFRC durability. When you think of tough, you may think of a strong man with big muscles or a monster truck with massive wheels that can roll over anything. The idea of being tough is defined in the dictionary as being able to handle great strain without breaking or giving in. Something that is tough is strong, flexible, and resilient. Within the mix of the materials found in GFRC, the toughness is born out of the glass fibers and polymers. The less water added to the concrete ingredients found in GFRC also increases the strength. It is this combination of materials that also fulfills the other characteristics of toughness, namely resilience and flexibility. Stromberg Architectural has undertaken a number of lab tests on its GFRC materials to understand just how tough it is and what it can actually withstand. This also helps in developing further recipes for the GFRC to emphasize a certain aspect of toughness or to use on a particular type of architectural product. At Stromberg’s, we are obsessed with GFRC durability. The tests revealed that Stromberg GFRC can withstand hurricane force winds and seismic loads. It is also less susceptible to the weather elements, including extreme temperatures, water and wind erosion, and saltwater environments, in contrast to the impact on conventional concrete. In fact, structures made with GFRC have made it through hurricanes, fires, floods and earthquakes, while other structures that did not use this material were destroyed. That’s tough! For example, Stromberg GFRC panels survived numerous hurricanes in New Orleans, Miami, Houston and the Bahamas, including a Category 5 hurricane. The Stromberg GFRC used at the 23-story Atlantis Resort in the Bahamas has been hit numerous times with hurricane winds and rain with no damage. GFRC is also tough when it comes to freeze thaw resistance. In lab tests, samples of Stromberg GFRC endured 300 saturated freeze thaw cycles, which is the equivalent of 50 years in a typical northern U.S. city. The result was minimal flaking. In contrast, unreinforced mortar was severely damaged after only 200 cycles. Making GFRC seem even tougher is the fact that it is much lighter in weight than traditional concrete yet it can handle so much more. To illustrate the difference, GFRC can weigh between six and fourteen pounds per square foot. In contrast, a six-inch precast concrete panel weighs between 70 and 80 pounds. Stromberg Architectural leads the way in the development and use of GFRC and GFRC durability. To learn more about why GFRC is tough enough to take on your construction, remodeling, or restoration project, contact us now for more information or a free estimate. Please fill in our online contact form or call our experienced team at 903-454-0904.